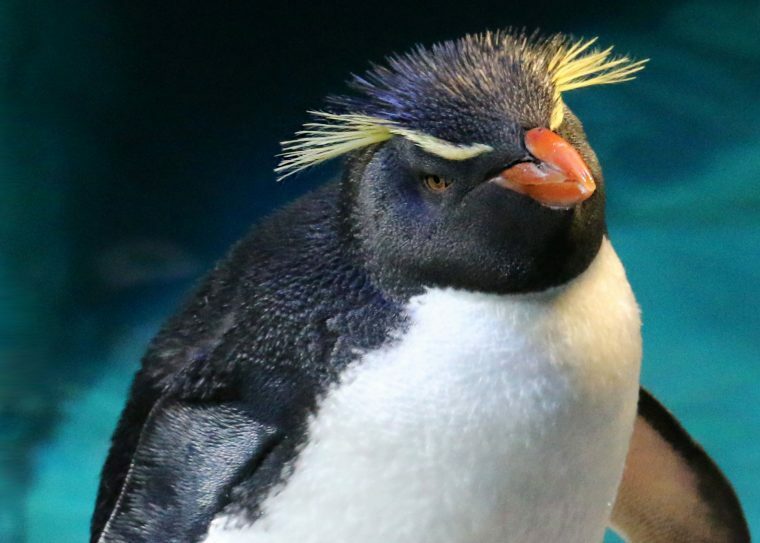 Summer Camp with Harbor Discoveries through the New England Aquarium is your gateway to ocean fun and learning this summer! There is no other opportunity like this. Summer camps are common, but THIS? Out of this world! Amazing opportunity! 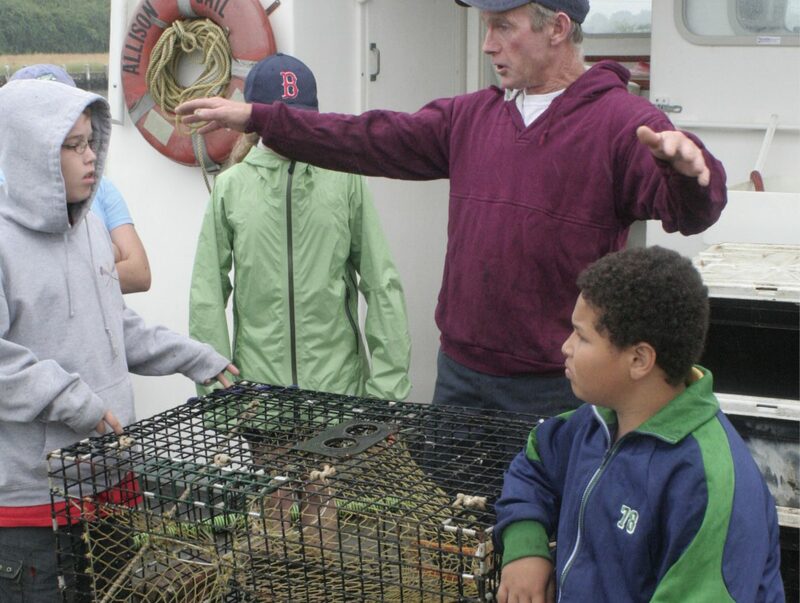 Harbor Discoveries is an interactive marine and environmental science program that incorporates traditional camp activities. 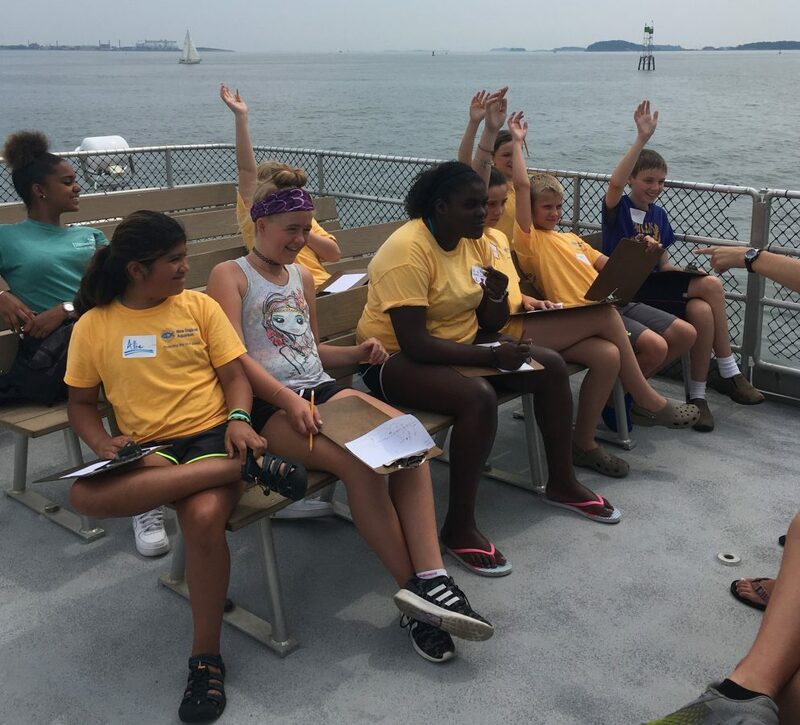 Through exploration of local marine habitats and the Aquarium, and an excitement for ocean conservation, Harbor Discoveries enhances the passion and potential impact that young people can have in and for the ocean. The experience of going behind the scenes was a life-changing event for our son. He has confirmed he would like to pursue a career that involves marine animals in some way. Exploration is a scientist’s greatest joy and the best tool for discovery! 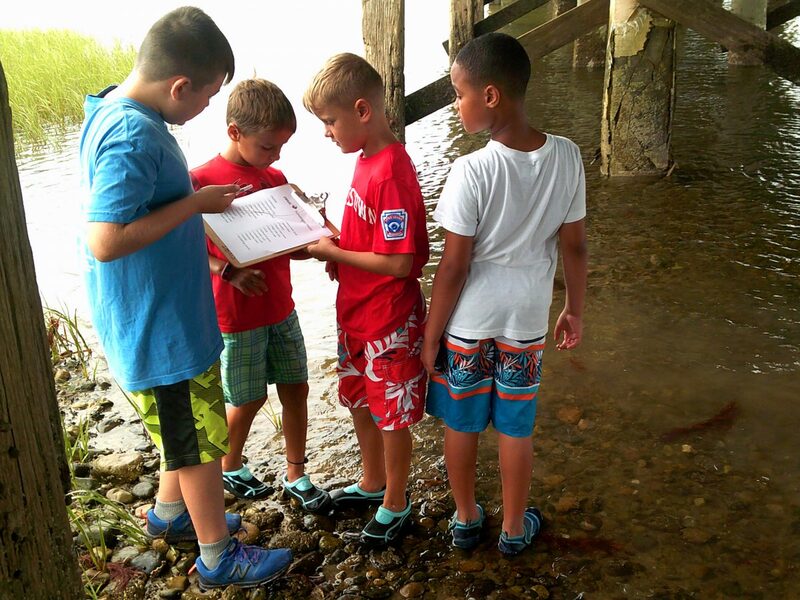 Through daily field trips, campers will spend the week discovering what our local beaches have to offer those with a keen eye and a curious mind. Seek out the creatures that spend their lives living in the extremes of tidepools and learn how they survive in a life between the tides! How are we connected to our closest relatives in the sea? 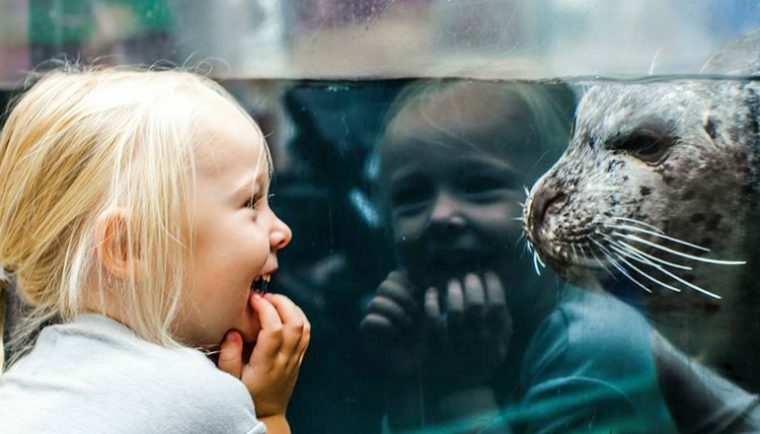 Delve into New England’s marine mammal world with the Aquarium by observing a seal training session and building toys for seal enrichment. 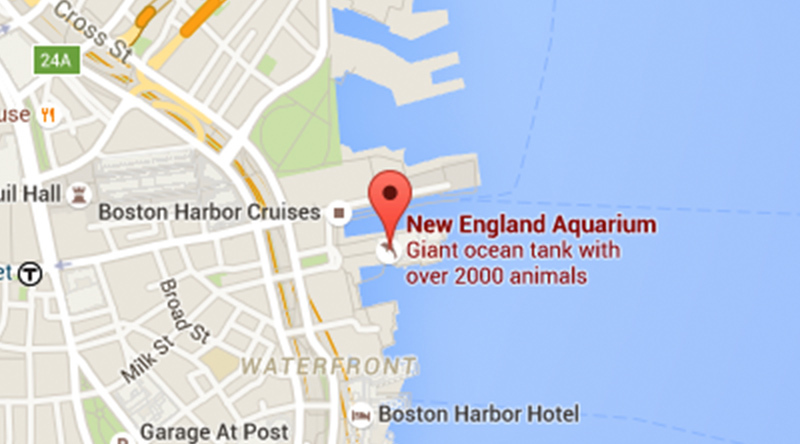 Then, visit Earth’s largest animals on a whale watch. 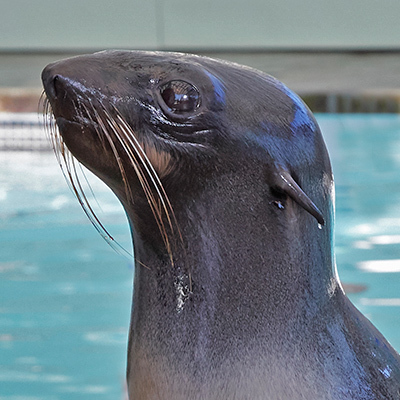 Through local coastal trips, campers will discover how the animals of the beach are connected to marine mammals in the ocean. The Boston Harbor Islands are home to a dynamic array of habitats hosting a tremendous variety of life. Join us as we explore a new and exciting island each day! Campers will learn about the islands as they investigate tidepools, hike, and delve into the history of our beautiful island backyard! There are fish in those waters … and we’re off to find them! Campers will experience how scientists study the world of fish, and why it is important for us to do so. Lessons on fish biology and habitats pair with practicing how to cast lines and hatch fish. All this teaches participants how fisherfolk and scientists work to keep fish on the menu and in the sea. Today (six days after camp ended), we were at a marine museum in Gloucester, and Maddie (fourth-grader) knew a TON about the fish and ocean creatures there! I was amazed at her knowledge as were the museum staff. She told us she learned everything at Harbor Discoveries camp! My favorite part was the excitement Rory shared when she came home every day! What do you have that all fish, whales, and birds share? A backbone – and our one ocean upon which we all rely! Vertebrates come in some amazing shapes and sizes and are found throughout the aquatic world. Join us as we seek out these spine-carrying creatures at the beach, in the water, and on a whale watch. We have only explored about 5 percent of the world’s ocean. That means there are many incredible discoveries out there yet to be made! Join us as we develop new theories about the questions that remain and explore some of our own! 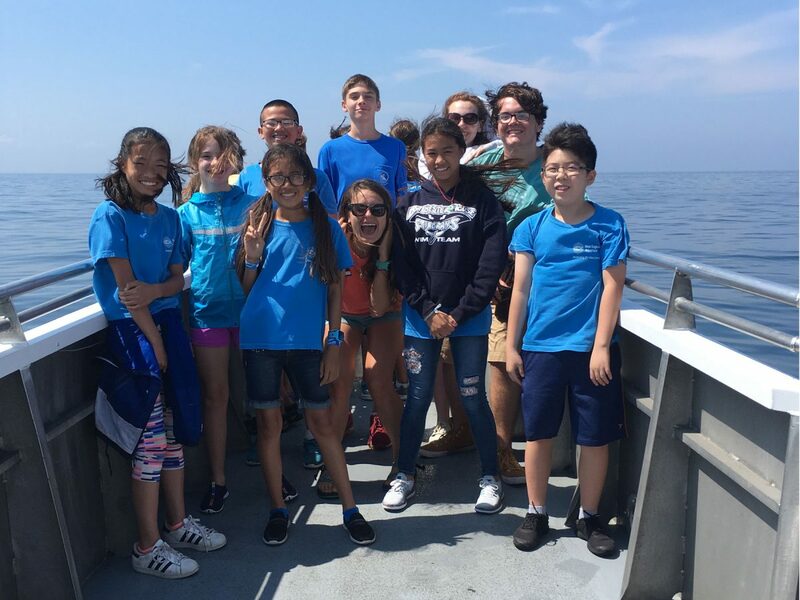 Campers will use scientific techniques to embark on fun-filled adventures to research the amazing mystery that is the global ocean of our blue planet. Do you know a water quality chemist? A fish monger? A whale watch captain? How about a professional scuba diver? Well it is time that you did! For this week, we will join an assortment of people whose livelihoods rely on the ocean as we learn about their world and investigate the marine life they encounter every day! Scholarship Copayments: If awarded a scholarship, the copayment amount as based on household adjusted gross income (AGI): $50 if AGI is less than $40,000 or $100 if AGI is between $40,000 and $80,000. A $2 service fee will be added to each nonmember ticket booked by phone. The service fee is $1.50 for online registrations. Our instructors are one of our greatest strengths. With a priority placed on safe, engaging, and meaningful activities, our staff of professionals helps us stand out from the crowd. Adult instructors engage in three weeks of staff training. All adult instructors are certified in first aid and CPR. Though we are not a swimming camp, we do engage in numerous activities near or in shallow waterfront settings. Consequently, a number of our instructors are certified lifeguards. Several Junior Counselors (JCs) help keep camp running smoothly and energetically. Many JCs were previously Harbor Discoveries campers. The “cool” factor ascribed to these high schoolers helps them mentor campers effectively and they provide a well-rounded and dynamic instructor team. 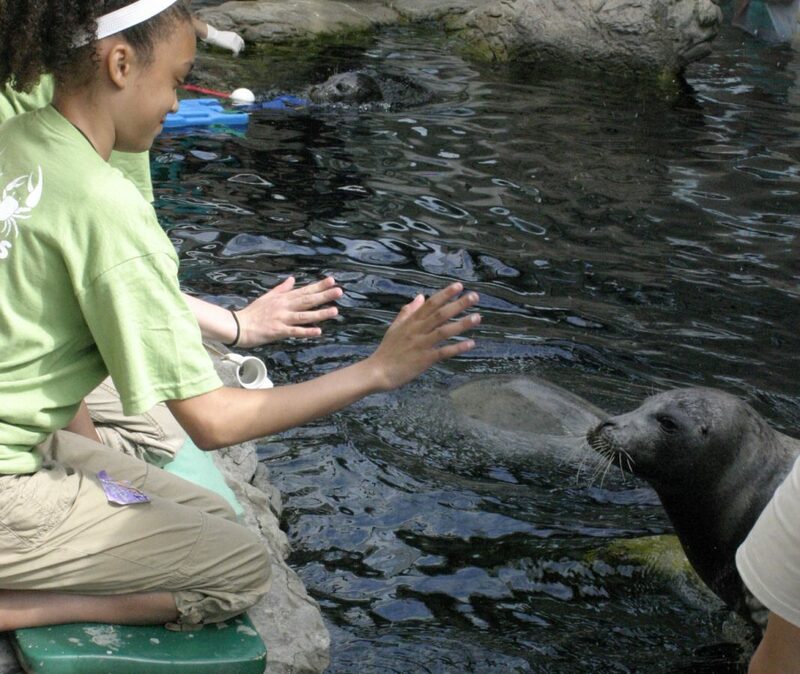 JCs undergo extensive and ongoing training in marine science and professionalism as part of the Teen Programs at the New England Aquarium. All Harbor Discoveries personnel have undergone background checks (CORI and SORI) in accordance with all applicable laws. All programs operate from Monday through Friday, including an overnight experience on Thursday night. †Early drop-off starting at 8 a.m. is available. * New for 2019! We have extended our day on Friday. The camp was well-organized; the staff was attentive to the needs of the campers and the concerns of the parents; and the experience was both fun and educational. Quality Staff. 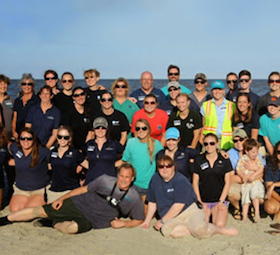 On top of holding and pursuing degrees in education, marine science, or a related field, our adult instructors engage in three weeks of staff training to ensure we can provide the highest quality experience for your child! Plus, the Camp Leadership Team has a combined 35 years of experience managing top-notch camp programming! Attention to Safety. Your child’s safety is our top priority. A great example: Though we are not a swimming camp, we choose to require two of our instructors to hold current lifeguard certifications, because we operate near and in shallow water. Staff-Camper Ratio. Our adult-to-camper ratio is 1:6.5. Throw in our well-trained Junior Counselors, and our ratio is better than 1:3! Not Just a Camp. Camps are at their best when they engage young minds in deep, experiential learning, effectively combating the pesky summer learning loss. 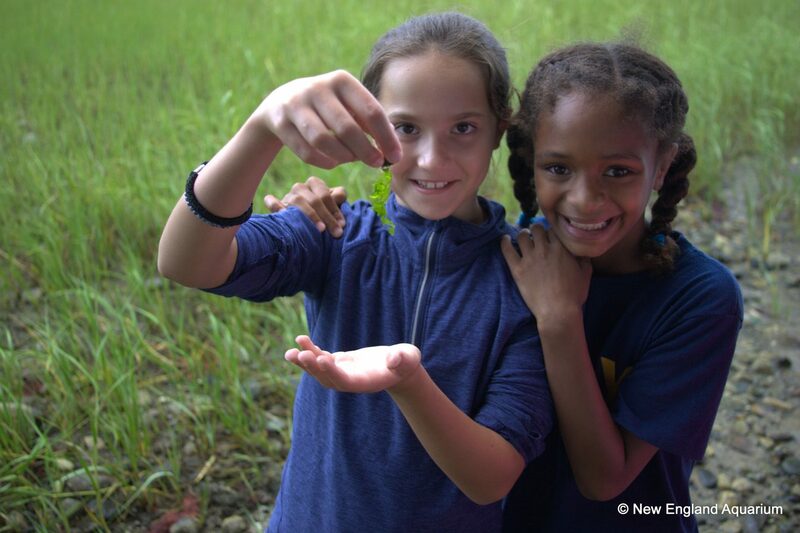 In addition to the plethora of educational and developmental benefits that summer camps generally provide, Harbor Discoveries throws a strong science and conservation lens onto all of our experiences – particularly nurturing critical thinking skills as well as literacy and competency in Science, Technology, Engineering, and Math (STEM); and an understanding of self agency for young conservation-minded individuals. Can’t get these types of experiences at a 'regular' day camp. Not all kids are sporty or artsy. Many are into science, nature, and exploration. The Overnight. Many kids (and parents) want the adventure of an overnight experience without the commitment of spending multiple weeks away. Our structure of three days of day camp followed by a full day and an overnight provides the scaffolding and foundation some youth need or prefer to get the most out of a camping experience. 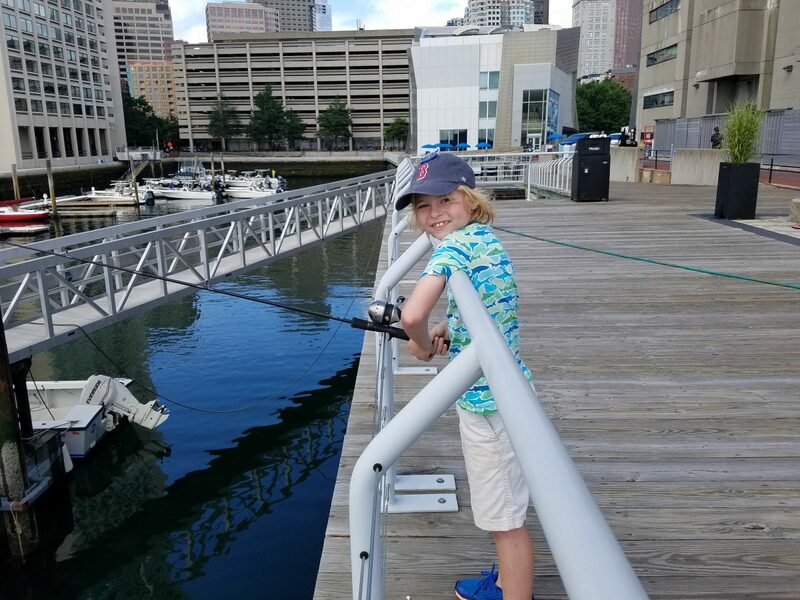 Whether we are camping on the Boston Harbor Islands, on the Cape, or in the Aquarium itself, the wonder and experiential learning of the experience runs deep. nearly half of participants, many of whom have never been camping before, declare the overnight as their very favorite part of the week.